Whole30! Week One Progress. – this luminous life. 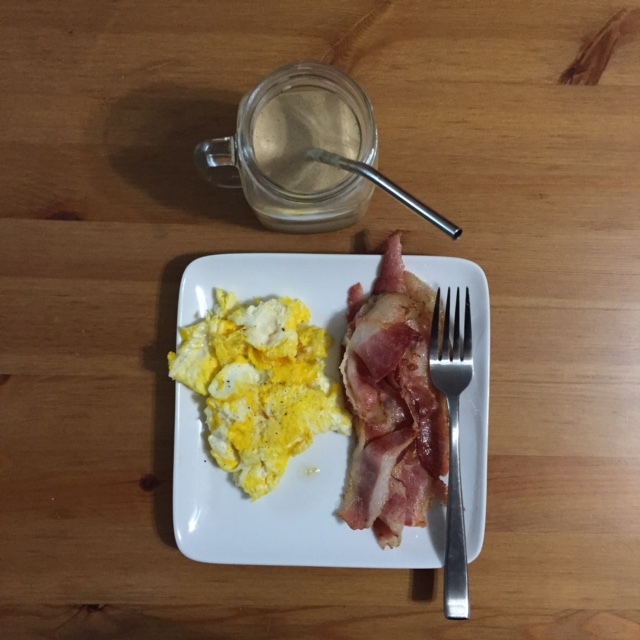 April 13, 2015 ~ Laura N.
Last week Monday, I started a personal Whole30 challenge. For thirty days, I’ll be eating a strict Paleo diet: basically veggies, fruits, meats, seafoods, eggs, nuts, water, and tea. No sugar, no cheese, no dairy, no breads, no grains, no pasta, no legumes (beans, soy, peanuts), no alcohol, and no processed foods of any kind. Why? I’m tired of feeling sick all the time. For the last seven months or so, I’ve been sick on and off more than I’ve ever been. I attribute it partly to the weather, stress, and change, but also because I’ve been eating ‘worse’ than usual: too much pizza, too much pasta, ramen, candy, soda, etc. Lack of time and low funds have greatly contributed to that icky diet (now I understand why so many busy, broke Americans eat so poorly). We’ve got a better handle on things now and I’m ready to take control of my health again. And yes, I’m eating meat for this. The day I decided to start Whole30, I went through my fridge and cabinets, moving all non-compliant foods to a different shelf or drawer (my husband is still eating whatever he wants). I had a few staples to work with but went to the local grocery store to pick up some eggs & meats to start. I tried my best to select items that were compliant (organic, grass-fed, no soy, no sugar, etc.) with the options I had. After a whirlwind Easter weekend in Chicago, I started Whole30 last Monday! Lunch: green beans, pineapple, water. 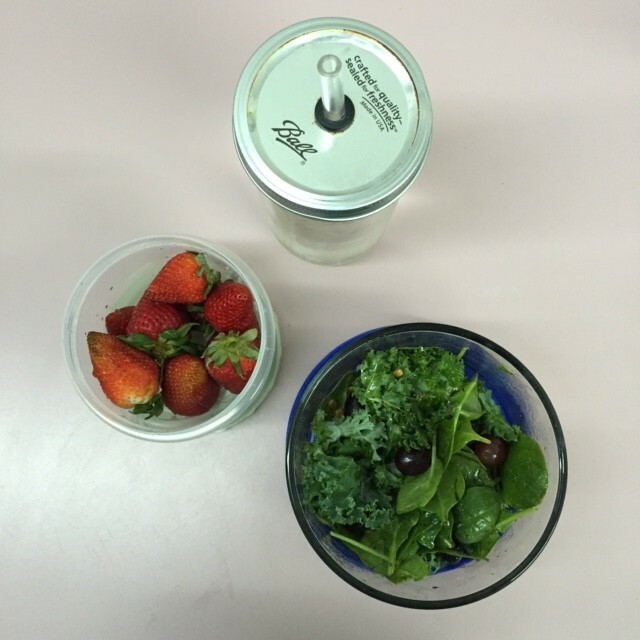 Dinner: kale & spinach salad with grapes, blueberries, seeds, olive oil & vinegar, strawberries, water. 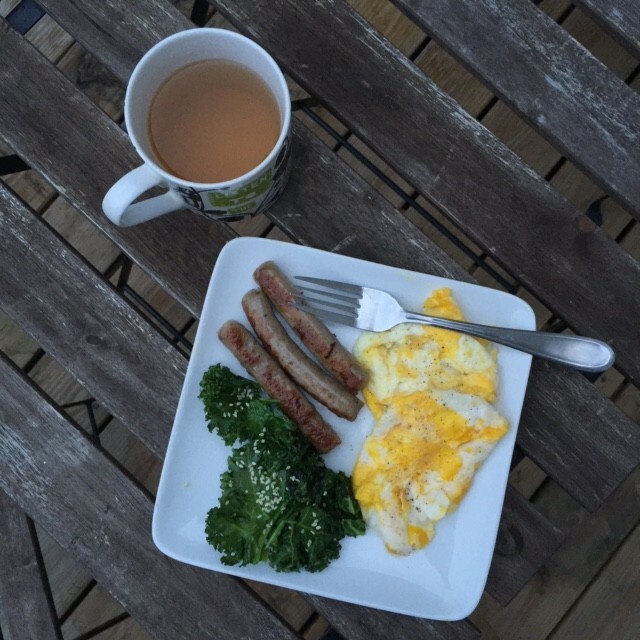 Breakfast: two eggs, sausage, steamed kale with sesame seeds, tea. Lunch: grapes, strawberries, apples, water. 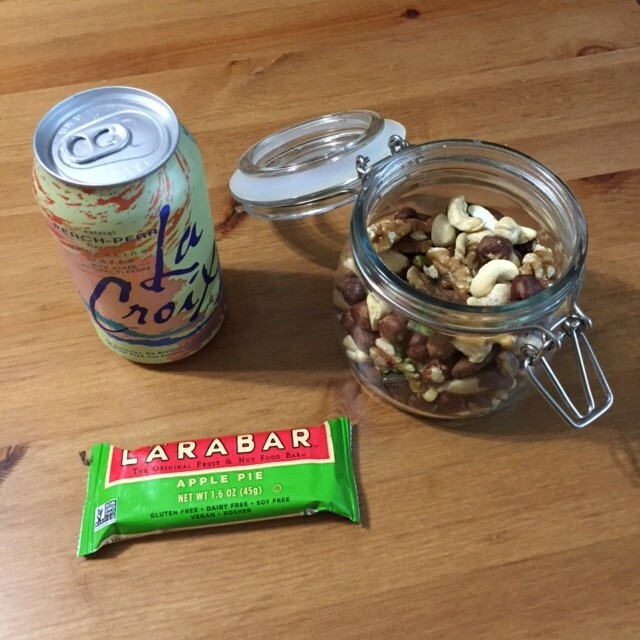 Snacks: handful of mixed nuts, Coconut Creme Larabar, LaCroix drink. Did not have dinner. Wasn’t hungry, I suppose. 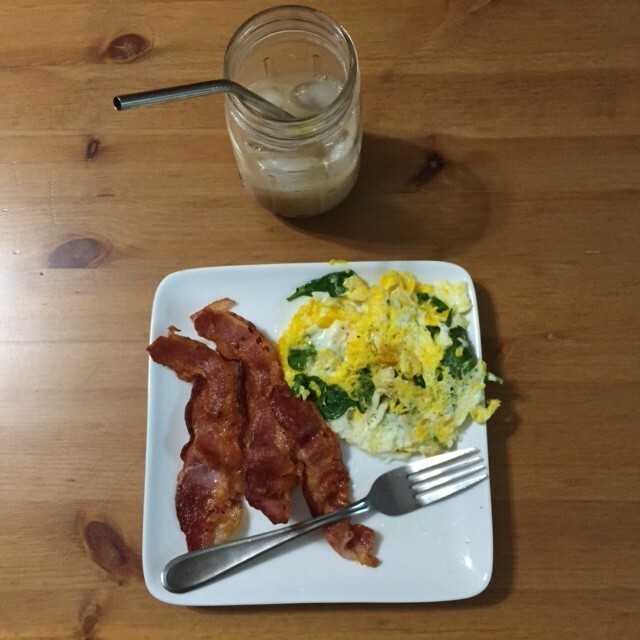 Breakfast: two eggs with spinach, bacon, iced chai tea. Lunch: turkey & romaine-wrapped pickles, mixed fruits, water. 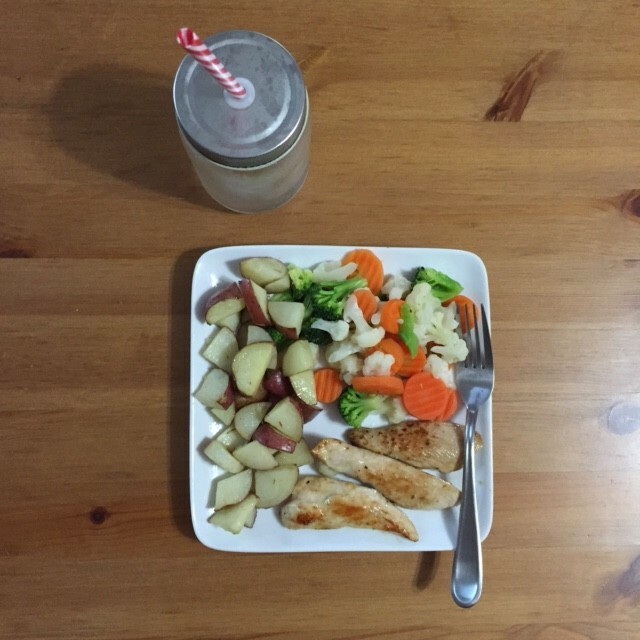 Dinner: lemon-pepper chicken, mixed veggies, roasted red garlic potatoes, water. 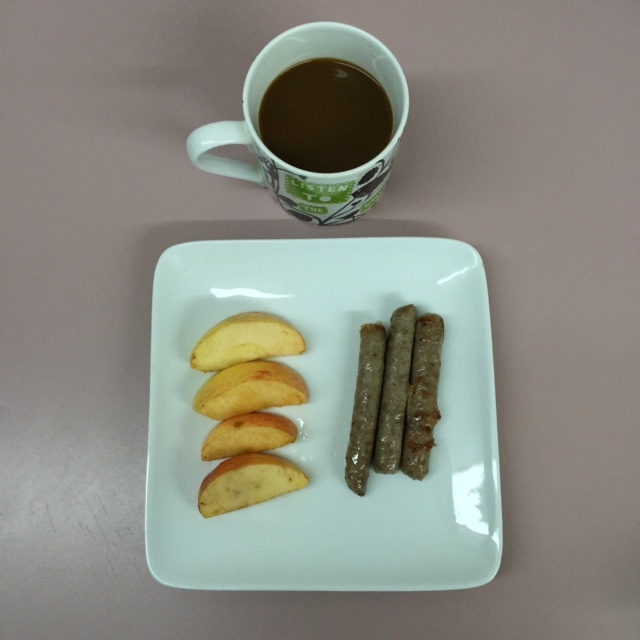 Breakfast: sausage, two eggs, orange, coffee with coconut milk. 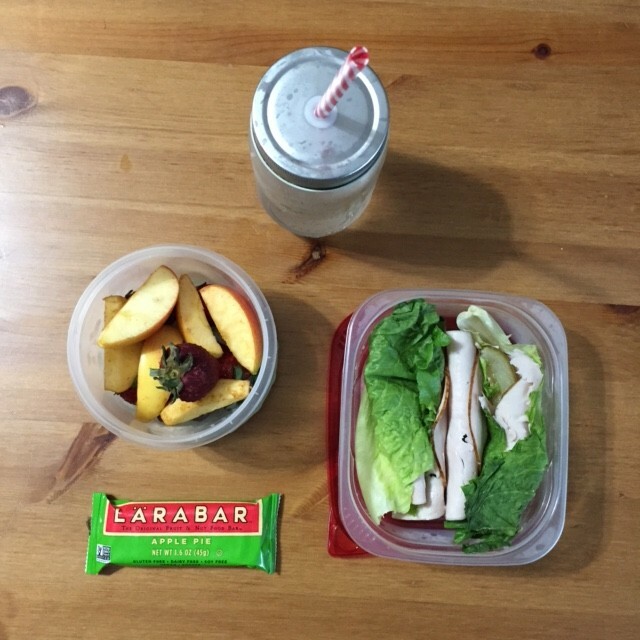 Lunch: leftover herb roasted potatoes, turkey & lettuce-wrapped pickes, Larabar, water. Early lunch: stir-fry veggies, water. Morning/afternoon snack: LaCroix, dried fruits, water. 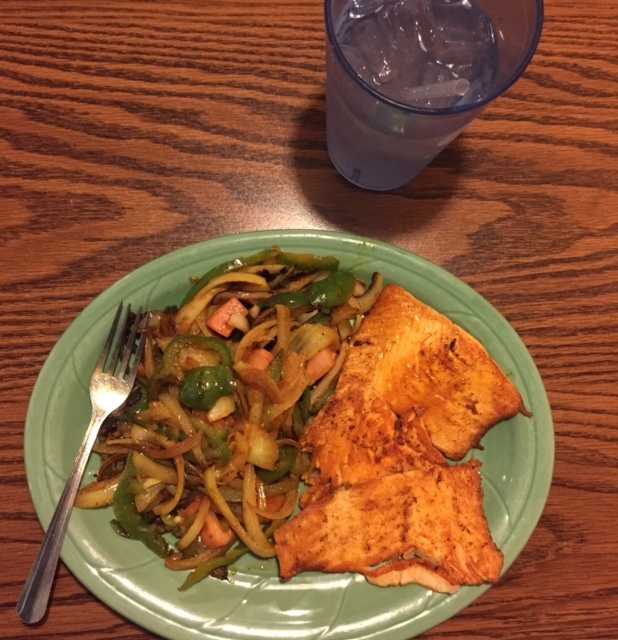 Dinner: salmon, sauteed veggies, water. So… how do I feel? GOOD! The first day was rough. Total lack of sleep and dealing with a cold plus not enough food made for a very cranky and exhausted Laura. I was unable to prepare enough for that day and had to make my lunch stretch through dinner since I had a 12-hour work day, as well. All the snacks in my classroom and all the food in the building? Couldn’t have most of it. I resisted temptation (go, me!) but it was hard. Rawr. Fortunately, it got better from there…. except for the constant headaches. Withdrawl, perhaps? I’m not sure. Also, I bought the LaCroix drinks because they are apparently Whole30 compliant and I thought it would be nice to have something to drink other than water, tea, and coffee. The LaCroix drinks give me headaches too. I never finish the entire can when I have one. I have no idea why they give me headaches…!? I was also getting over a rough cold when I started the Whole30 and now I feel so much better (aside from the headaches)! I need more filling meals, though. Most of my meals were lacking ‘completeness’ in my opinion. They were bare bones and needed a lot more veggies and well, food in general. It doesn’t help that I didn’t plan any of my meals — just thought of what ingredients I had and put things together as the meals came. Hoping to change that this week as I’ve dug up a few yummy-looking recipes and picked up some of the things I needed for them. Soy and sugar is in almost everything!! Seriously! I’m a label-reader, but for Whole30, I’m reading every label and finding so much soy and sugar in everything (in its various forms)! It’s ridiculous. And sad. Especially when you are in an area where you have no other options for certain foods. Eek! Have you done Whole30 or started eating Paleo? How did things go for you? Here’s to another healthy week! ‹ PreviousA Room Without A View. Next ›Whole 30: Week Two!